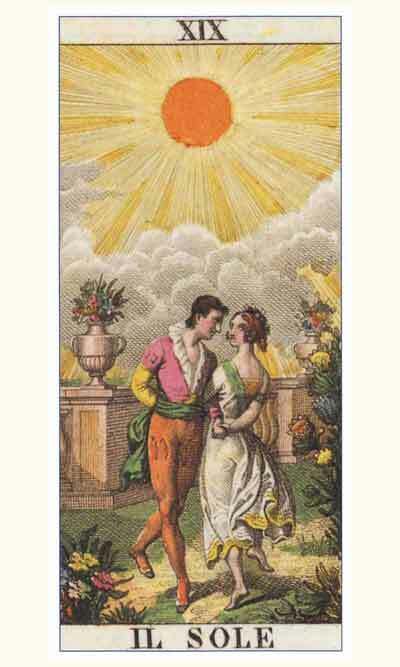 Published around 1835 by the Milanese publisher Ferdinand Gumppenberg and created by Carlo della Rocca this is one of the true classics of Tarot. 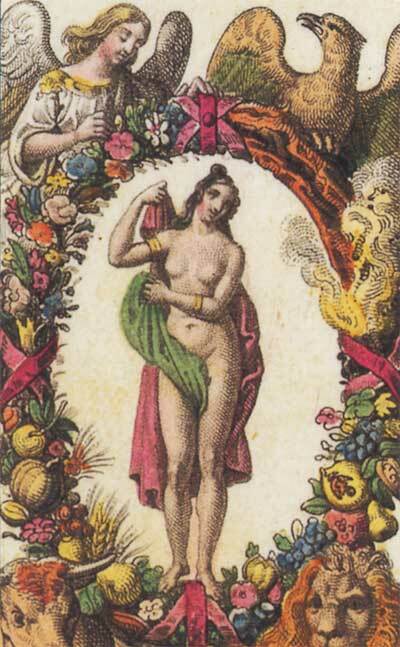 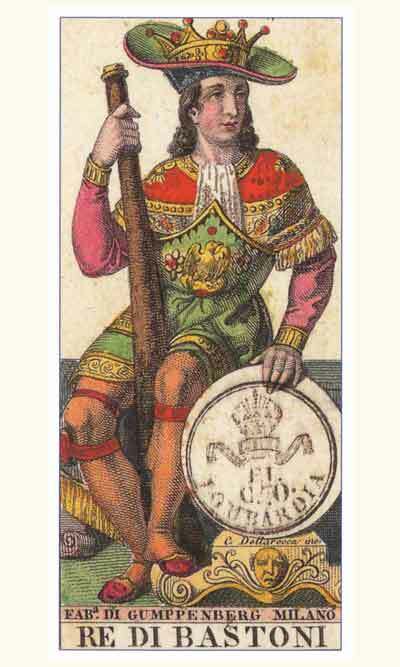 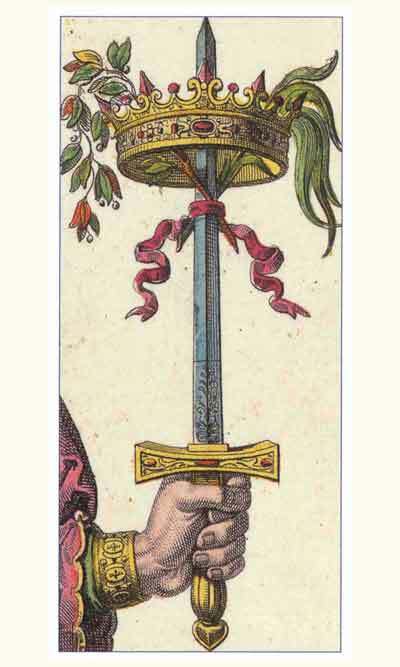 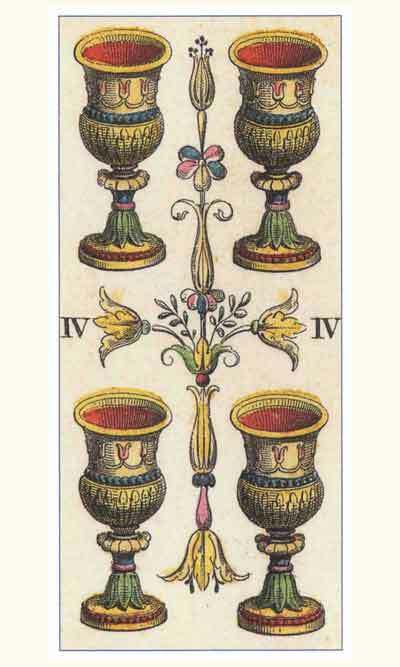 In the style of the Marseilles Tarot it has the classical 22 Majors with Strength numbered 11 and Justice is numbered 8. 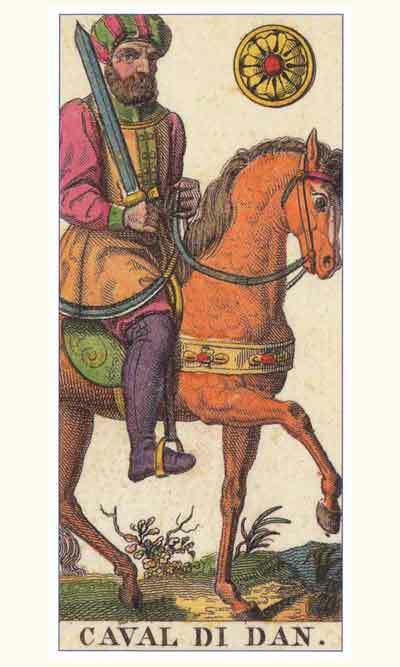 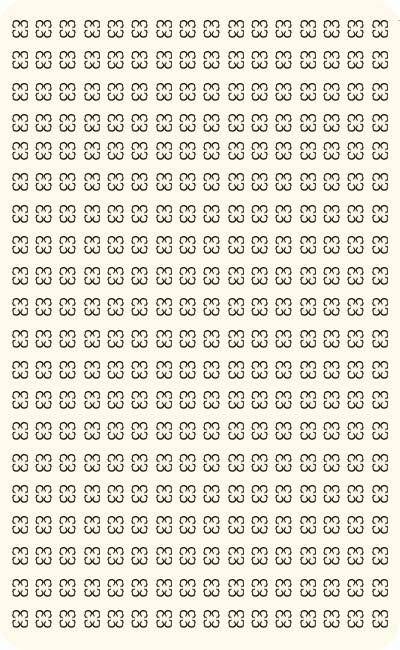 The Minor arcana numbered cards are without pictures having "pips" like playing cards.